Ever notice how some actors play themselves in every movie that they star in? This occurred to me last night as I clicked through an endless sea of movie channels and found Matt Damon on every channel at once. And in each movie, to his credit, MD was playing a completely different character. Brilliant and undirected in Good Will Hunting. Scared yet resolute in Saving Private Ryan. Resourceful shitk*cker in The Bourne Identity. 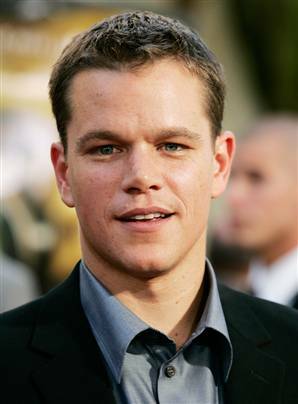 Unique roles, good acting = Matt Damon. 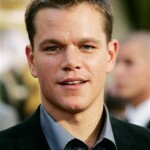 But there are other actors who are revered for their skills who seem to take on the same role on an annual basis. Julia Roberts as the likeable fish out of water. John Cusack awkwardly navigating a relationship. Jennifer Aniston looking for love in all the wrong places. Ben Stiller snarkily keeping his anger in check. What fun is acting if you are either playing yourself or always playing the same role? Are there any actors you’d like to call out for recycling a part? One thing I find really difficult to stomach is non-white actors being forced to take bit parts that focus on extreme stereotyping in order to make some money or get a “break” into Hollywood. Playing “the Asian” or “the Funny Black guy” is not representative of range at all. In this case, they aren’t even able to develop a niche like that of Julia Roberts or Matt Damon. Actors who play the same roles… I mean there are alot to choose from. I would say the one that really sticks out to me is Steven Segal. I don’t think I’ve ever seen him do a movie that wasn’t an action flick. He also has the same delivery on all his lines and alwys ends up fighting. I think Stevem Segal thinks he has a gangster presence on screen but really touches on phoney. I know there are a lot more actors like this but steven segal takes the cake.